Intervid Africa’s CCTV Camera Surveillance Solutions draw on the most advanced digital video and audio monitoring, recording and communications security technology available today. Video data management forms the foundational element of our integrated Building Management Systems allowing us to build versatile, networked CCTV solutions with fully integrated command and control centres located either on or off the client's site. Intervid Africa offers various digital CCTV recording technologies to suit the application requirements independent of camera type, including integrated and video-over-IP architectures. The versatility and configurability of Intervid Africa’s CCTV security surveillance systems allows us to craft CCTV solutions from simple requirements with a few cameras through to large campuses requiring thousands of cameras and enterprises with multiple networked security sites. In the case of larger sites, our Security Systems Management Interface provides complete site resource management with interactive site map graphics, allowing selection and instant access to CCTV cameras' views, microphones, door status and much more. CCTV surveillance solutions aid corporates and institutions in a multitude of different applications, ranging from security and theft deterrence, employee productivity monitoring, through to process control and health systems monitoring. Properly recorded security surveillance footage can be used in courts to aid in the prosecution of offenders, internal disciplinary hearings and in the monitoring and control of production and manufacturing standards. CCTV footage recorded through properly installed and maintained CCTV security systems can be used in a number of ways to the advantage of organisations. Ultimately, professionally installed and maintained CCTV solutions enhance the safety and productivity of any organisation and its employees. Intervid Africa is a leading CCTV Security Specialist supplying CCTV solutions to multiple industries including, but not limited to; mining, retail, corporate, industrial and complexes and estates in South Africa as well as neighbouring Southern African countries. 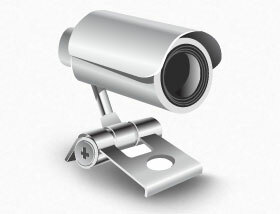 Intervid Africa has CCTV offices based in Durban, Johannesburg and Cape Town. Contact us today to arrange a CCTV site survey.